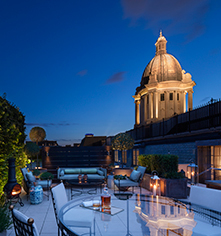 Ideal for business and family travelers, Rosewood London offers a variety of cultural and exciting facilities and activities to ensure an integrated, all-encompassing London experience. Experience blissful pampering and serene tranquility at this luxurious London spa. 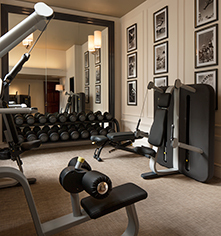 Combining a contemporary design with the latest cutting edge gym equipment from Technogym, Rosewood London's Fitness Center provides a calming and luxurious environment for the ultimate workout. Set over two rooms, this spacious Fitness Suite is bathed in natural daylight and with its wide range of state-of-the-art equipment will help guests reach their goals leading to a healthy, balanced lifestyle. The Fitness Suite is open 24 hours a day. Technogym equipment featuring treadmills, bikes, cross trainer, stepper, and elliptical machine. All machines have internet access and tv monitors. 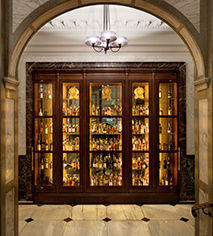 Rosewood London’s state-of-the-art Business Center is available to guests 24 hours a day. From the latest computers and equipment to specialized administrative services, the center prioritizes functionality and efficiency while maintaining a relaxed atmosphere.